Nice camouflage, Dustin. It is coming along nicely. Mike, great finish on the jeep. 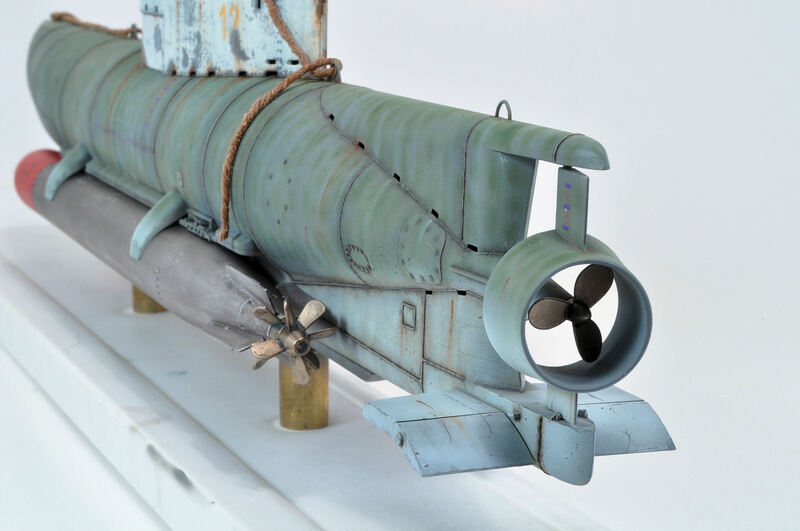 Looks great with perfect weathering. I did some stowage mock up. My first time at this. Here is my entry. I started this kit while living in Mexico City. All work stopped when we moved back to the states so now it's time to finish it. I have had a run of bad luck with DS track on my last 3 PZ III builds with the tracks too short. I'm trying the Kaizen tracks on this one. So far they look really good. Looks good, Guy. Eager to see your progress. I painted my ammo crates and that's about it. 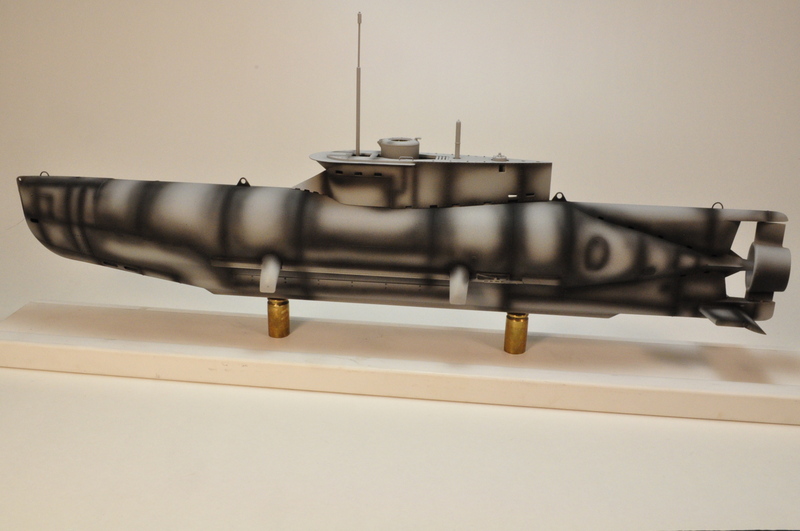 I finished shooting the tank in burnt umber undercoat, and then the first coat of XF-60 dark yellow. Got one side of the road wheels done as well as one side of the kaizen tracks. Having never worked with Kaizen before I had to experiment a bit. Trying to insert the tracks pins "free hand" was a pain in the neck, and the sections I did that way had a twist in them. I broke out the assembly jig from an old set of Model Kasten tracks and its been smooth sailing since then. I knew there was I reason I never throw spares and jigs out! 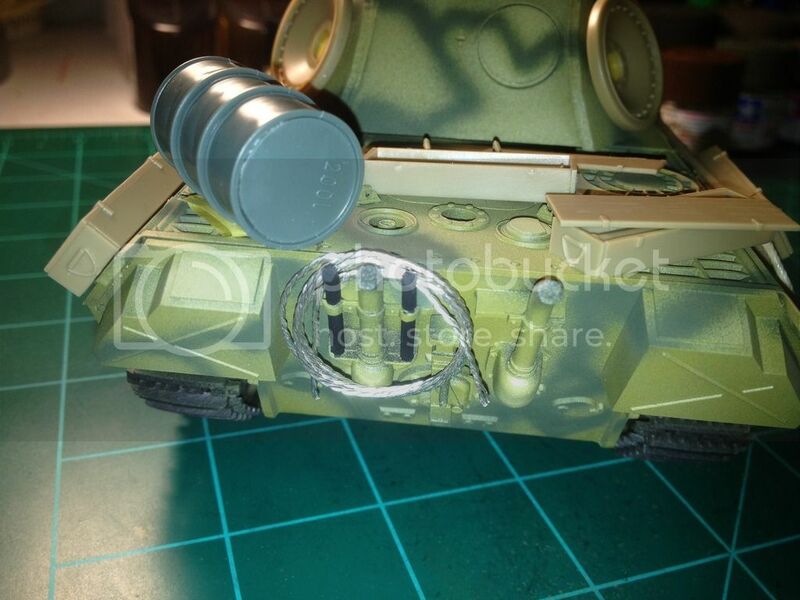 My initial build for this campaign: Tamiya's 1/35 Merkava. Like most of my builds, I don't remember when I started it. I have been working on it lately (among others) and stopped when it became time to glue in the clear parts. My usual M.O. is to work on another kit when I hit a snag. But I will attempt to stick to this one. One of the track skirts broke off when I tried to see how to add one of the driver's periscopes. 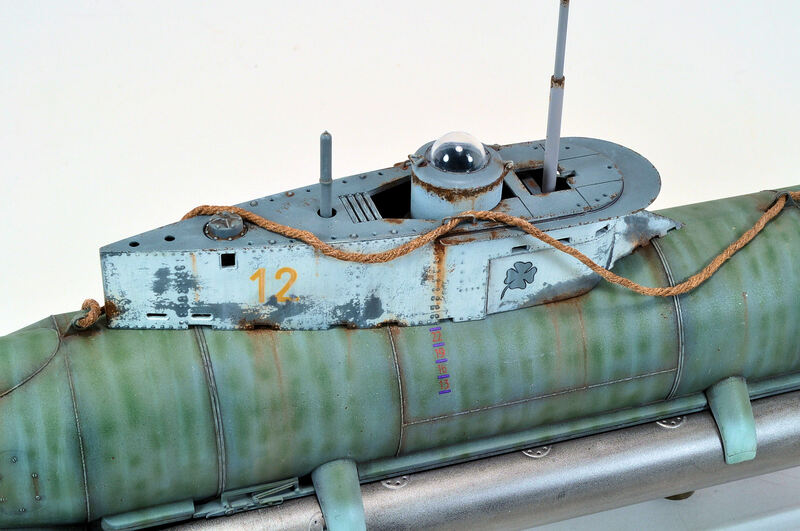 I also can't tell you how many times I've glued the tow cable hooks onto the turret. 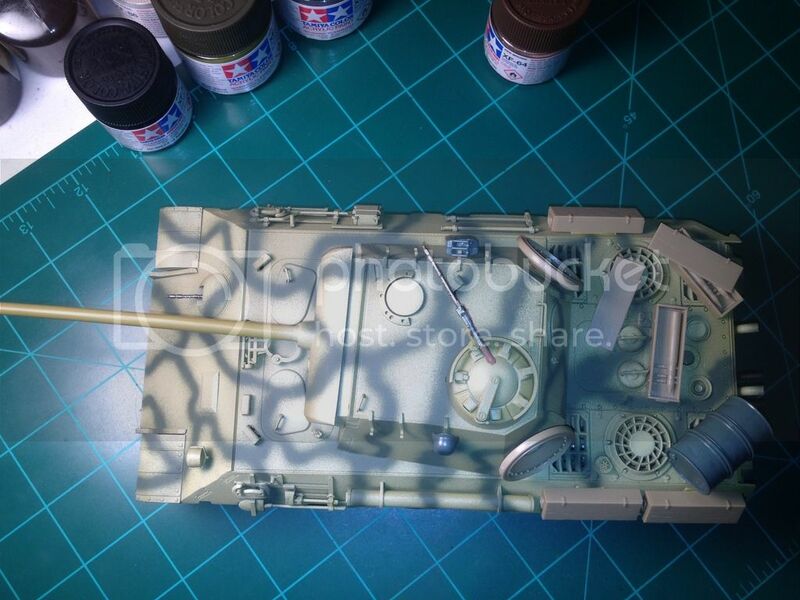 Both tracks are on, and basic 3 color cammo is done as well. I see some touch ups that are needed. 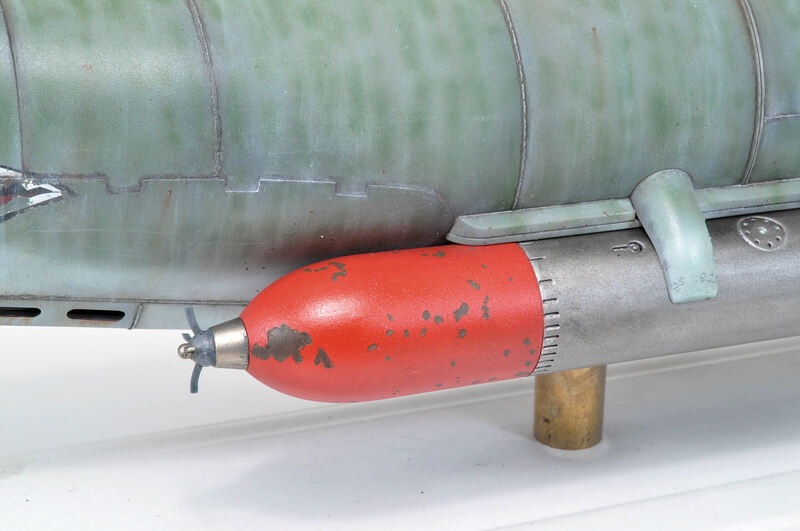 Have started detail painting of the tools, muffler etc. Small update from Me. Working on running gear so i could get the rear deck on. I am so out of practice, i don't know what i am doing ,lol. I forgot to wash the 3 outer wheels. get to that soon. Okay I will play. I started this in 2010. and it just stalled as other projects had to take center stage. I Just finished it over the weekend. And the Finished Pictures - Minus the base which is on order. On mine I did the pin wash and dot filter. Next some dirt and dust and I'll be ready to put on the shurtzen. Almost there. Very nice Guy, I especially like your shade of the exhaust / muffler. 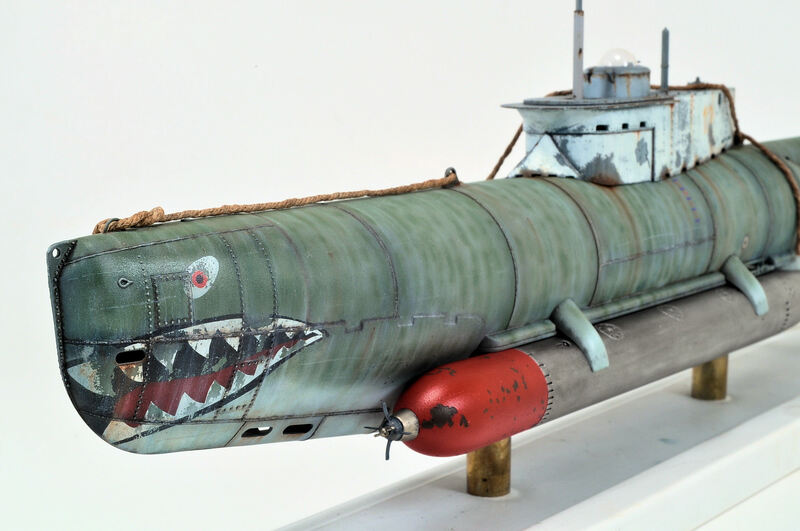 Awesome weathering on the sub John -- is that the Bronco kit? Makes me want to go and start on mine. ok fellas, calling this one done. Glad to have this campaign to help me get motivated to finish this. Anxious to see the rest of you guys get across the finish line. 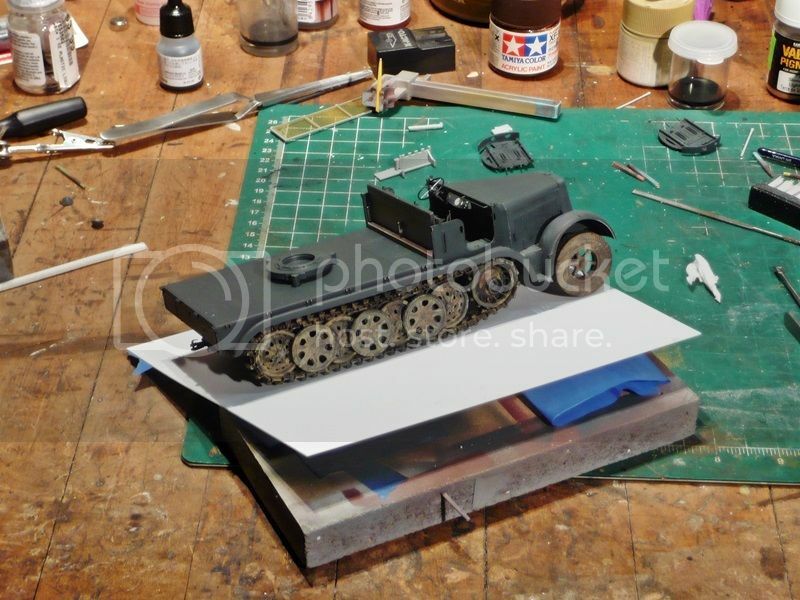 Academy M3 Lee with all the trimmings, including full Eduard "Big E" PE set, Resin radio and rear exhaust, Bronco Tracks, etc. The tracks alone are 5 tiny pieces per link, 80 links per run, two runs, so hours of fun for the whole family. Originally started this for last year's whole hog campaign, but an unexpected move killed that attempt. Hull interior is done and exterior ready for paint. Need to get cracking on the turret and the second run of tracks. Something within striking distance, if not a 'contest worthy' build. 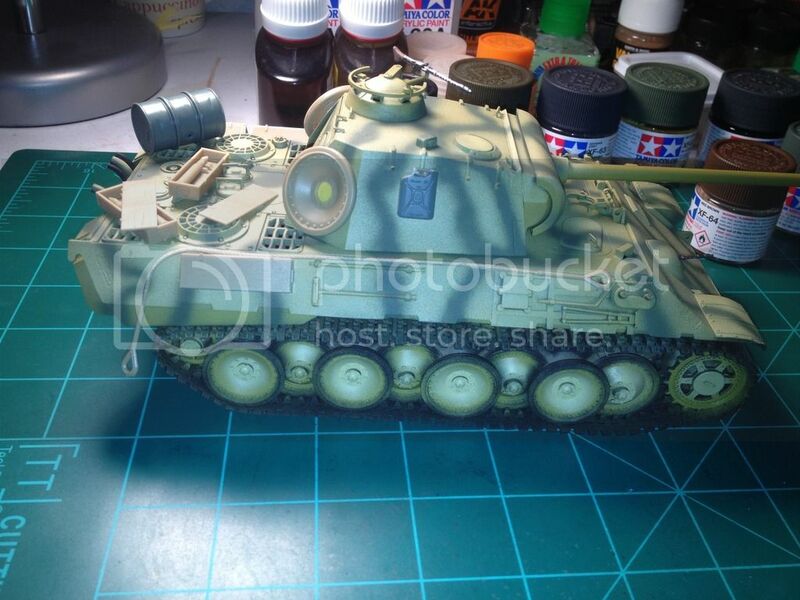 Dml's ancient 1/35 BMP 1 with an SP designs turret. At this point I am playing around with my paint weathering finishing techniques. 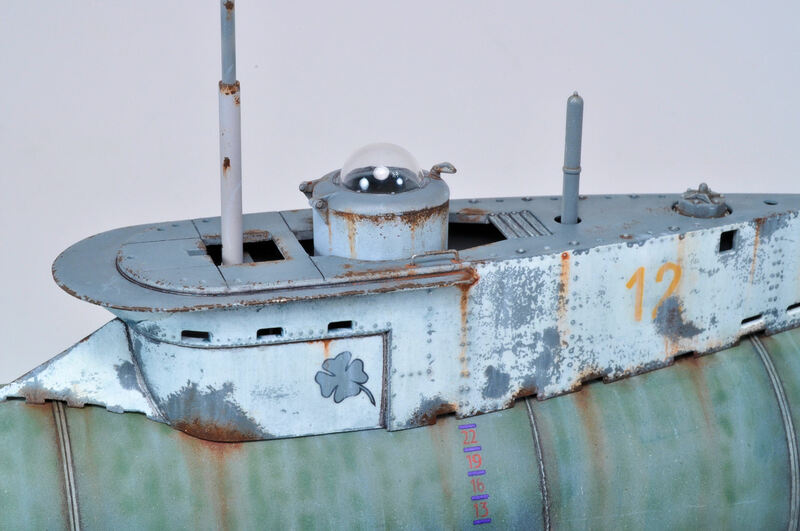 An overall shot of the hull and the turret. There should have been some paint modualtion here, but I obviouslly did not go for enough contrast with the coats. 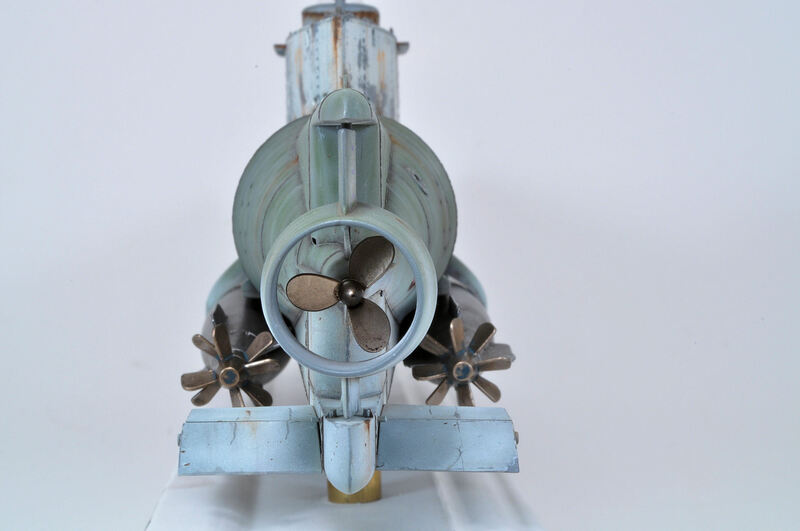 The turret is base painted, highlighted, and filtered. The commanders and drivers hatch area has a dark wash stumped in and two tone chips added in a too jade mix of green and lt grey (next time sand and green) with the Vallejo black grey and SS cammo dk brown chips. 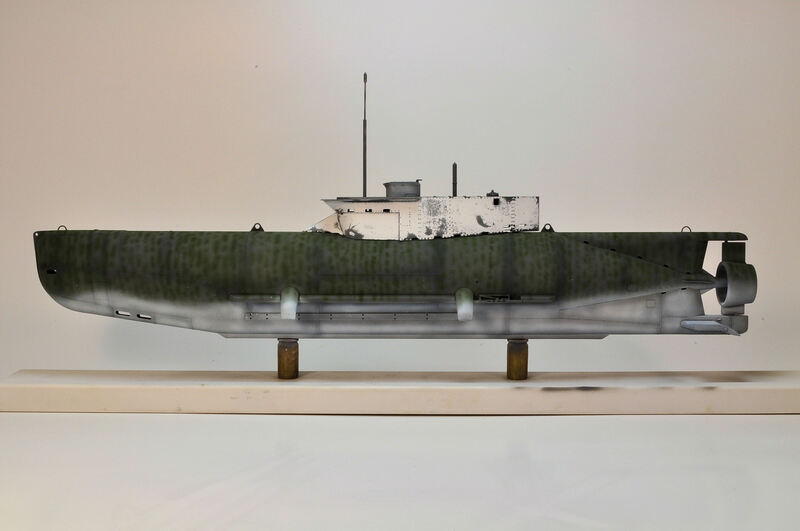 The front hull has lt grey dust enamel weathering applied to a thinner wet hull and stippled with a bit of sponge, then stumped back. 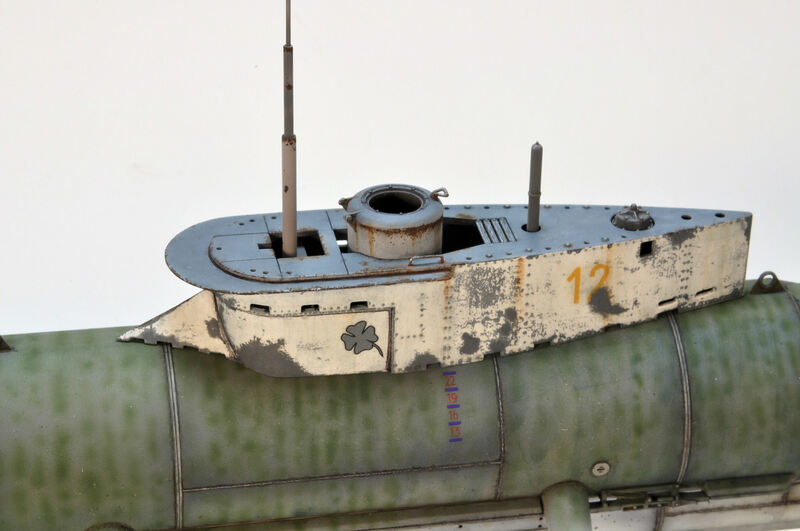 The rear hull roof has dust pigment worked into the paint and then scrubbed into the crevices with thinner. But the angle is too high on this picture and the effect is lost. 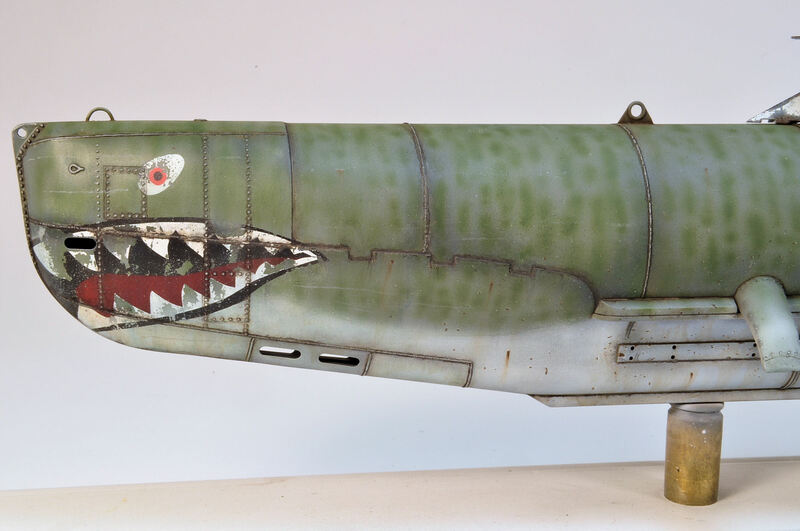 Some really nice work going in the campaign, especially like the Seehund John! And I'm heading towards the finish line with my 28mm Bolt Action stuff, wips back on page 2 or so I think. 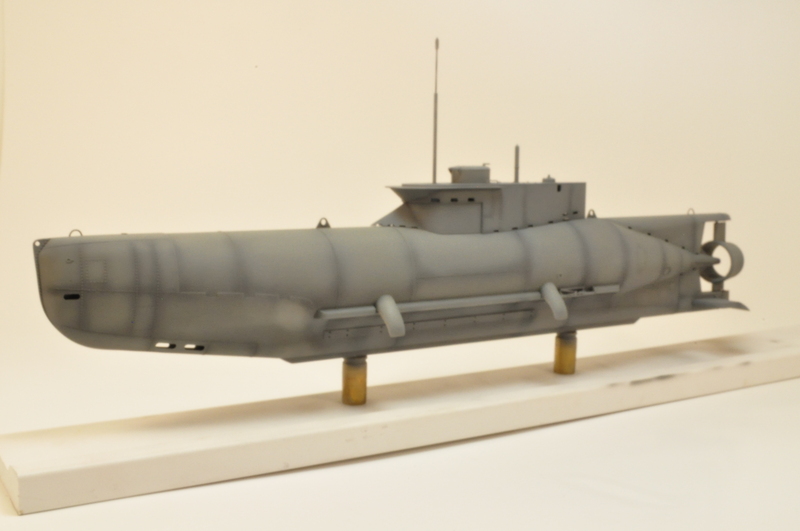 Most of it is at the final stages of weathering so a couple of weeks should wrap it up at last. Brent, I think I asked before, but I can't remember and can't seem to find it. What manufacturers paint and which shade of green are you using for the cammo there. It looks amazing. 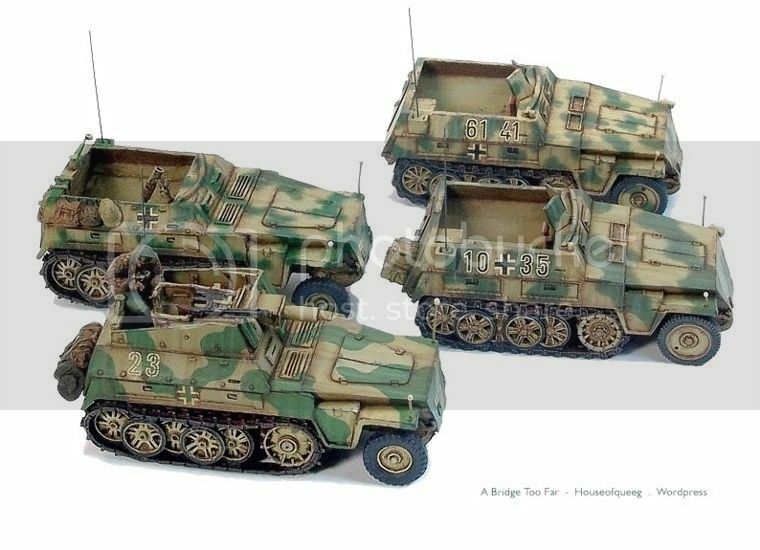 Thanks all who commented, and yes it's the 1/35 Bronco Seehund. Still left the section near the hatches undusted for contrast. 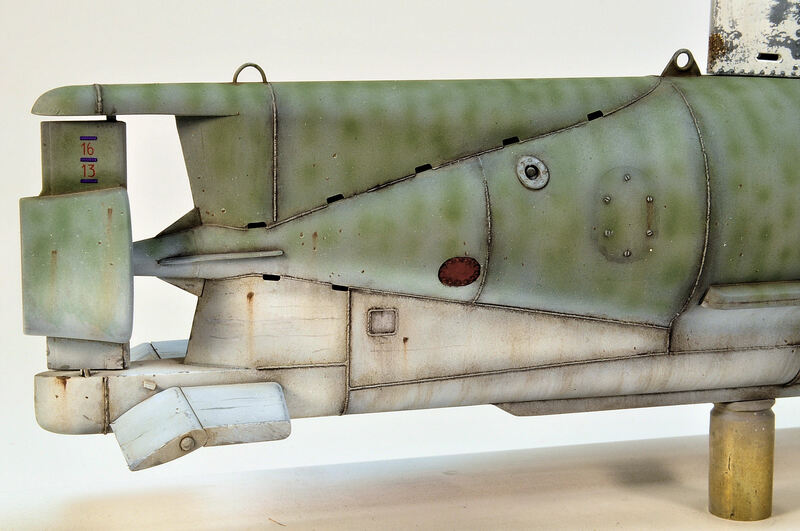 Not sure I really like the metallic pigment on the front hull ribs, but am still need to do more mud/dust. Looking good from where I'm sitting Mike, metallic pigment included! 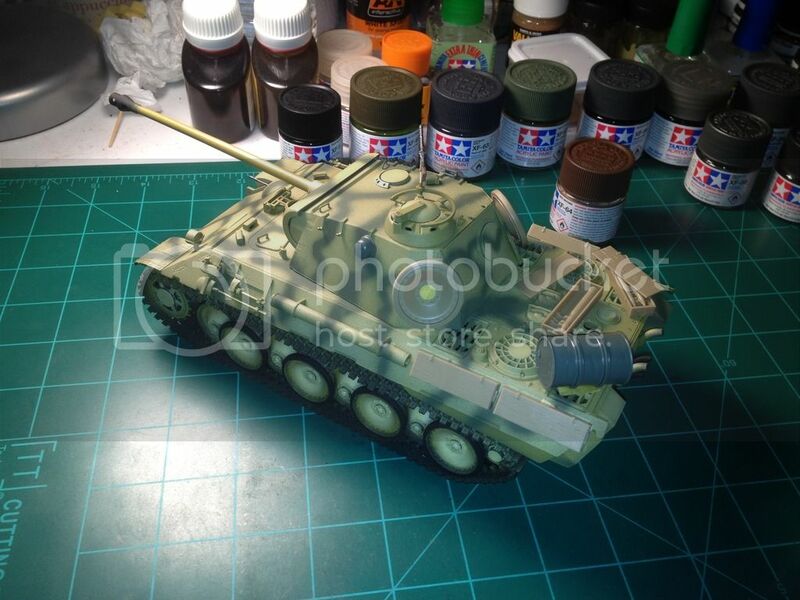 My submission for the campaign will be the ancient Tamiya's Tiger I which I will use to improve my painting skills. I will use oils, pigments and other methods for the first time. Hey Angel, nothing wrong with and old kit cleanly built and finished, good to see! My current progress. Rear deck and cab assembled. Thought i would break peices trying to get the deck in position on the frame, but it worked out. I did break off both headlights though, when assembling the engine compartment sides. Should have know better really. What a nice selection of stalled projects! I too have several of these and have selected one of the to drop kick to completion. 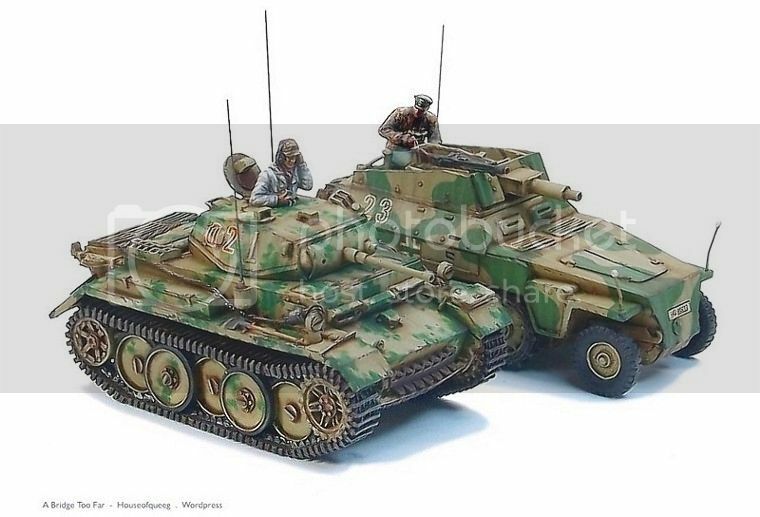 The kit is the CyberHobby version of the Dragon T-34/85, 1944 version. 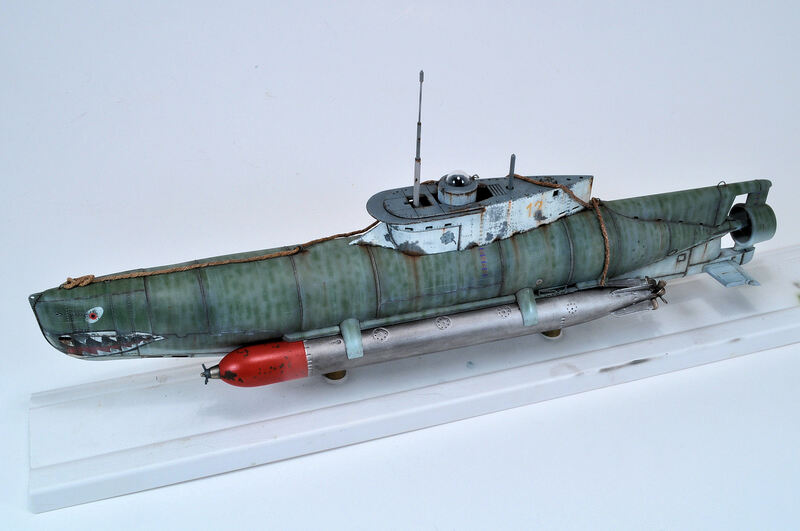 I am building it as a Korean War version and that has been the source of a number of the delays. Information on the Korean War use of the T-34s is hard to come by. There are no decal sets that I could find and most of the photos are either small grainy propaganda shots or pictures of burned out wrecks. 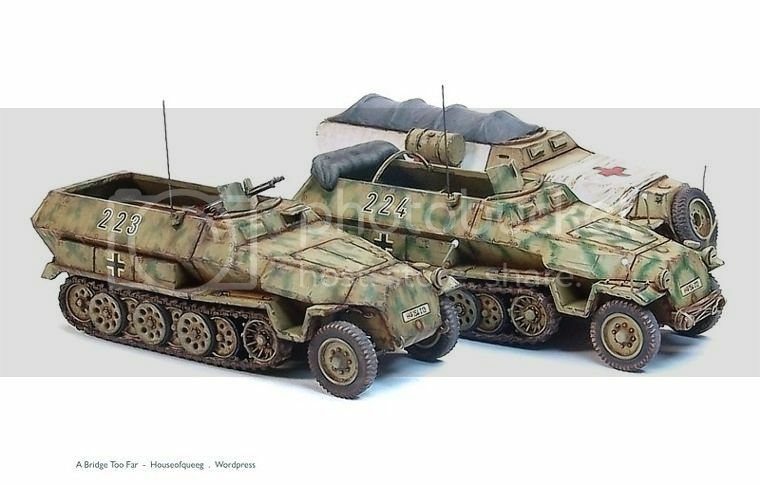 I finally "settled" for a set of numbers from a Soviet T-34 set from Archer Fine Transfers. While not perfect, they look pretty good. Next was a set of Model Kasten tracks. These are all plastic and turned out to be good looking but very fragile. I ended up drilling and pinning more than a dozen links with surplus Fruil wire. This kit contained no PE and I thought I would try upgrading the look with an AM set. The kit rear cover needed to be modified by removing the plastic screen. This turned out to be a laborious project. 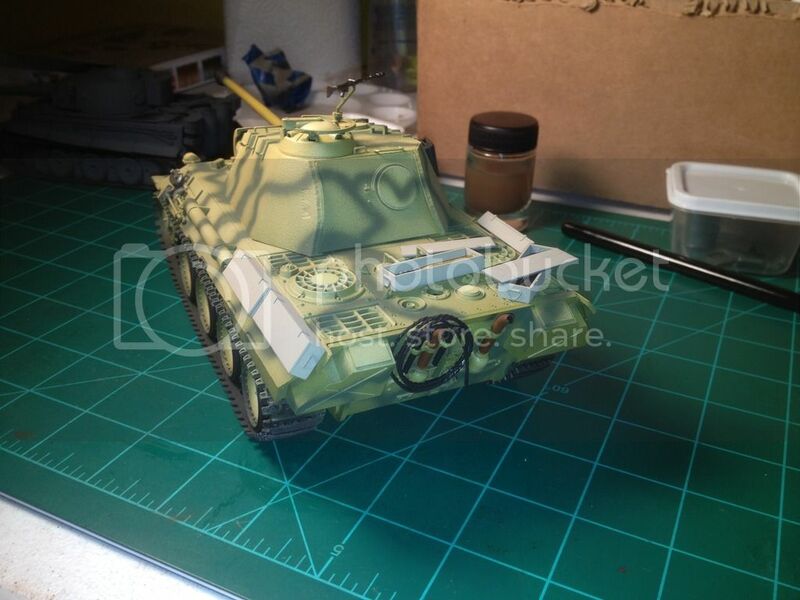 This was my first try of PE and it does look better than the kit part did. Every step seemed to result in a delay and the headlight was no exception. 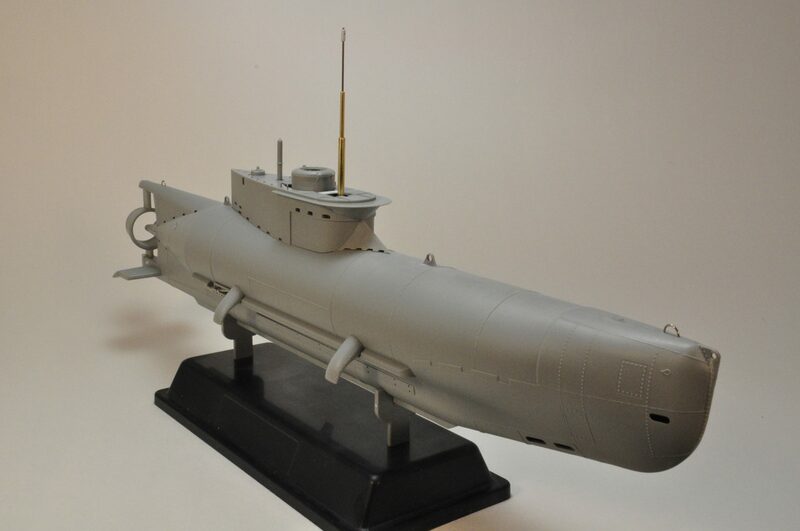 There are no clear parts in this kit so I started looking for something to replace the solid kit part. Finally I found some jewel like lenses with a silver reflector. After another delay this project was pushed along toward completion. washes and weathering was applied and I started on the pigments but decided I didn't like the look and stopped, hoping for inspiration to happen like a light bulb going on. That hasn't happened yet. I had some thoughts of trying to remove some of the pigment with a wet Q-Tip. Will this work?